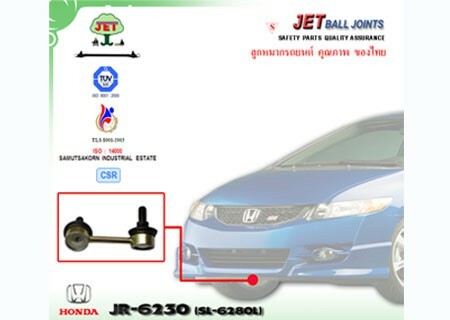 Quality of JET BALL JOINTS has been well acknowledged from both regional and overseas consumers who considerably concern vehicle safety, smooth operation and efficient holding performance as well as longer useful life. Most significantly, superior material grade, reliable facilities and manufacturing process have been crucially considered as they account for products durability and users safety. While ball joints play a critical role in steering an automobile and carrying loads, drivers increasingly seek higher quality ball joints which bring the greatest efficiency drives and no longer require frequent replacement. 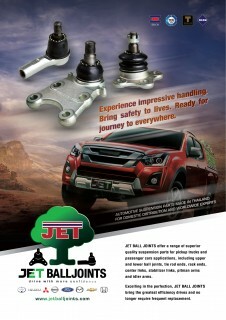 JET BALL JOINTS, the superior quality suspension parts for pickup trucks and passenger cars, including upper and lower ball joints, tie rod ends, rack ends, center links, stabilizer links, pitman arms and idler arms. O.E.M. 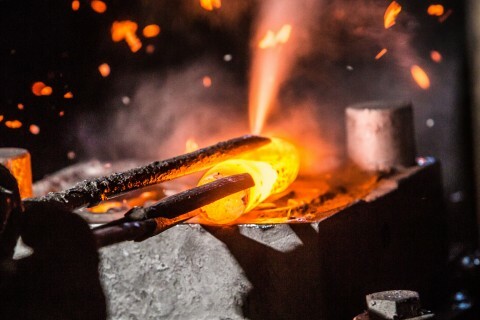 FORGING PARTS & HARDWARE PARTS For Global Brand Customers Having been a specialist in hot forging process, we have been capable for hot forging & hardware parts (available range from 300g. to 7000g. semi-finished or finished parts). We have supplied an extensive range of O.E.M. parts to global brands.